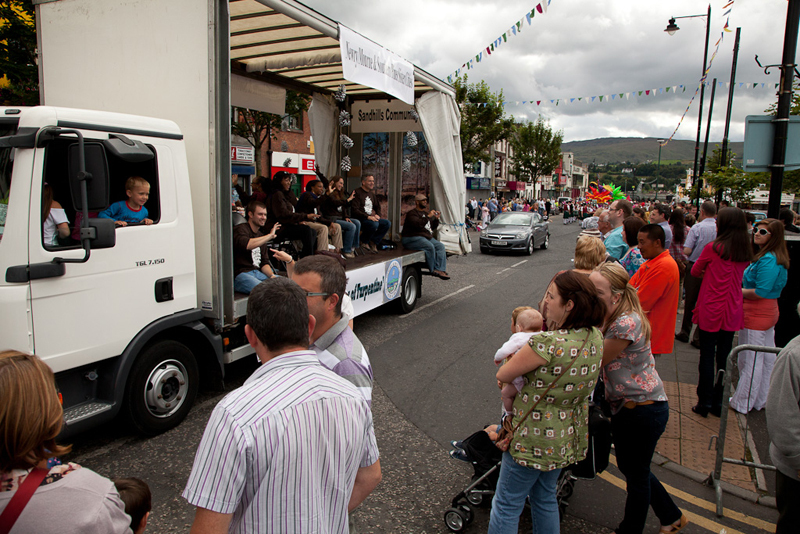 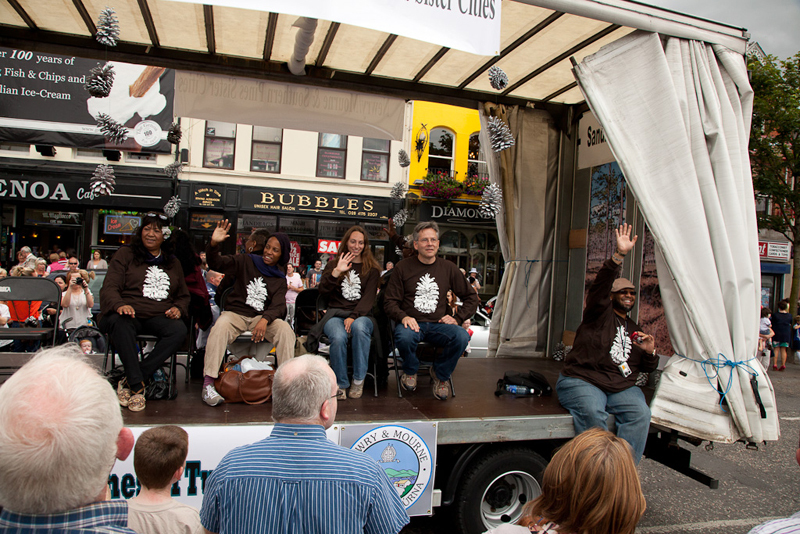 Bleeding Pines Float, representing Sister City Southern Pines in the Newry/Mourne Maiden of the Mourne Festival Parade. 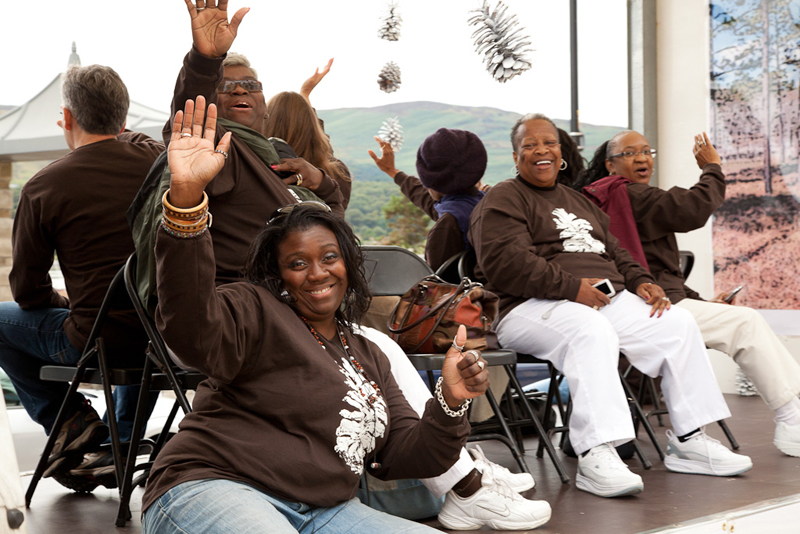 Members of the Together-N-Unity Choir: Nicole, Gwen, Mammie, and . 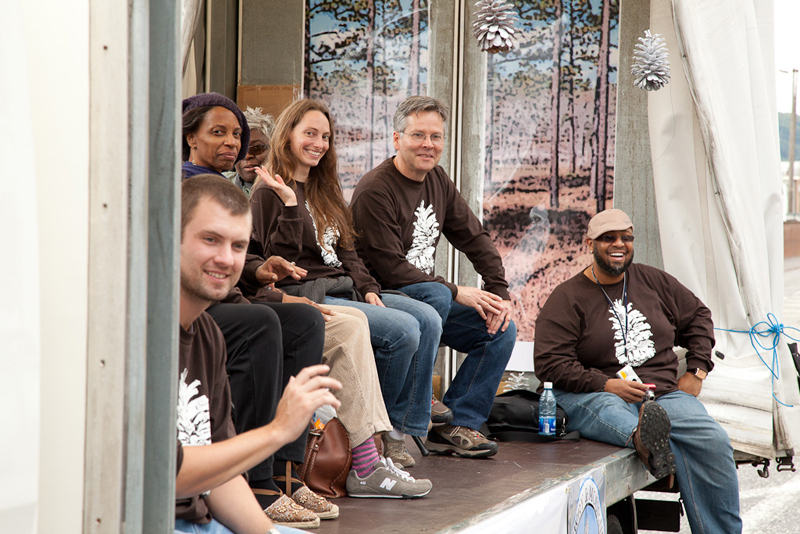 Ryan Book, Diana Turner-Forte, Abigail Dowd, Ray Owen, and Rod Brower. 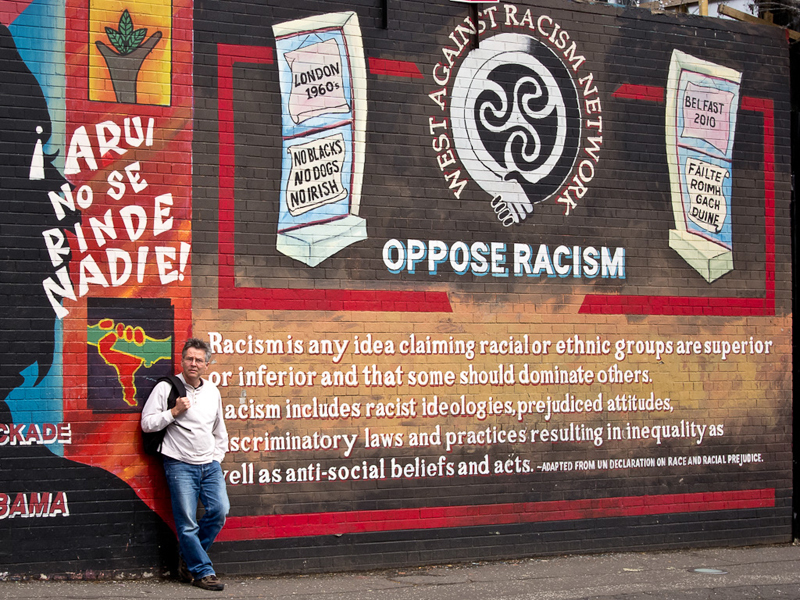 Ray Owen in front of a mural in Belfast. 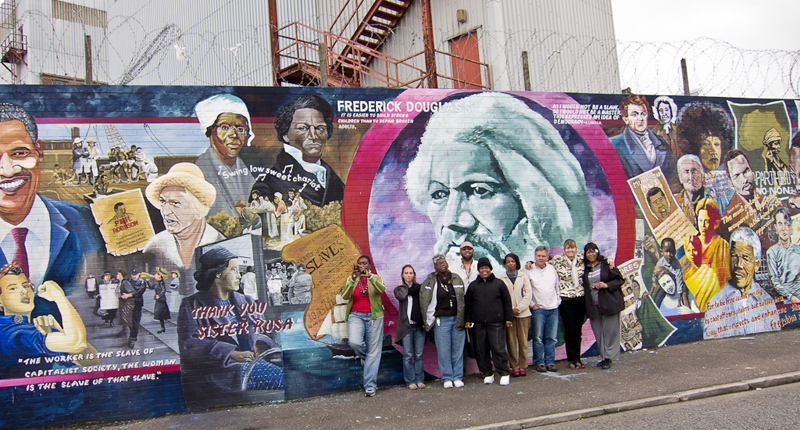 Bleeding Pines Group in front of a mural in Belfast.